Happy National Honey Bee Day everyone! As you may know, tomorrow (Saturday 22 August) is National Honey Bee Day in the USA. 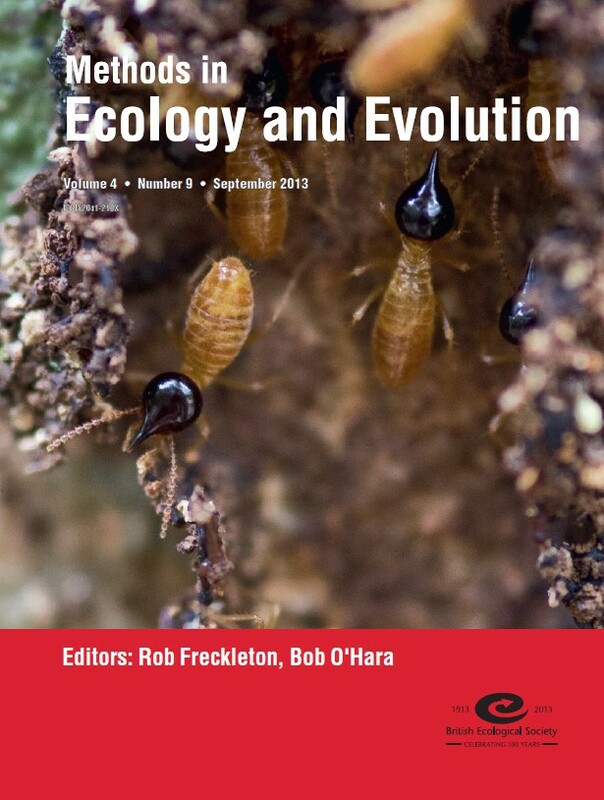 To mark the day we will be highlighting some of the best papers that have been published on bees and pollinators in Methods in Ecology and Evolution. You can find out more about National Honey Bee Day (and about bees in general) HERE. Our Honey Bee highlights begin with Hendriksma et al.’s article ‘Honey bee risk assessment: new approaches for in vitro larvae rearing and data analyses‘. Robust laboratory methods for assessing adverse effects on honey bee brood are required for research into the issues contributing to global bee losses. To facilitate this, the authors of this article recommend in vitro rearing of larvae and suggest some appropriate statistical tools for the related data analyses. 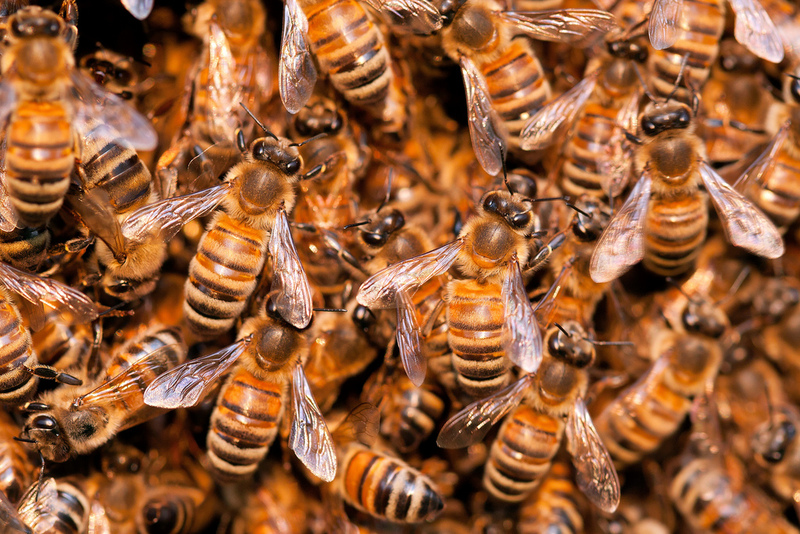 Together these methods can help to improve the quality of environmental risk assessment studies on honey bees and secure honey bee pollination. As this article was published over two years ago, it can be accessed for free by anyone. Last month, we published ‘High-throughput monitoring of wild bee diversity and abundance via mitogenomics‘ by Tang et al. in Early View. In this article, the authors proposed a new method to monitor the wild bee populations using, as the title mentions, mitogenomics. This allows for quick and accurate identification of bee species and can help conservationists to see where species are declining and where their efforts are working. This somewhat counter-intuitive method has also received some media attention and was featured in a number of news outlets. This article is Open Access. Next we have an Applications article, which means that this paper is free to access for anyone (and has been since it was first published!). In ‘A method for detecting modules in quantitative bipartite networks‘ Dormann and Strauss introduce an algorithm to identify modules in quantitative bipartite (or two-mode) networks. It is a significant improvement on previous standards of algorithms for binary networks and allows for the detection of modules in the typically noisy data of ecological networks. In another recent article, Gezon et al. describe an experiment in which they assessed whether lethal sampling for bees using pan traps and netting affected bee abundance and diversity when done often and over an extended time period. ‘The effect of repeated, lethal sampling on wild bee abundance and diversity‘ shows that the standardized method for sampling bees did not affect bee communities in terms of abundance, rarefied richness, evenness, or functional group composition. King et al. demonstrate a practical measure of pollinator effectiveness in ‘Why flower visitation is a poor proxy for pollination: measuring single-visit pollen deposition, with implications for pollination networks and conservation‘. Their method helps to distinguish between ‘pollinators’ and ‘visitors’ – a crucial differentiation in pollinator networks – and reveals how effective specific pollinators can be. It could help to avoid potential misinterpretations of the conservation values of flower visitors and of possible extinction threats. 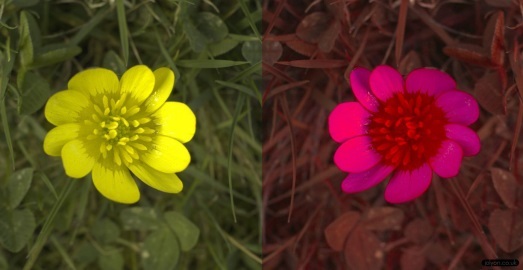 Lesser Celandine in human-vision (left) and honey bee vision (right). There’s a striking colour difference in UV. The whole flower looks yellow to us, however the petals reflect UV strongly and absorb blue, while the pollen in the centre doesn’t reflect UV, so looks red. This makes the flower look much more colourful to bees than ourselves. Have you ever wondered how honey bees and other pollinators see the world? Well now you can find out! 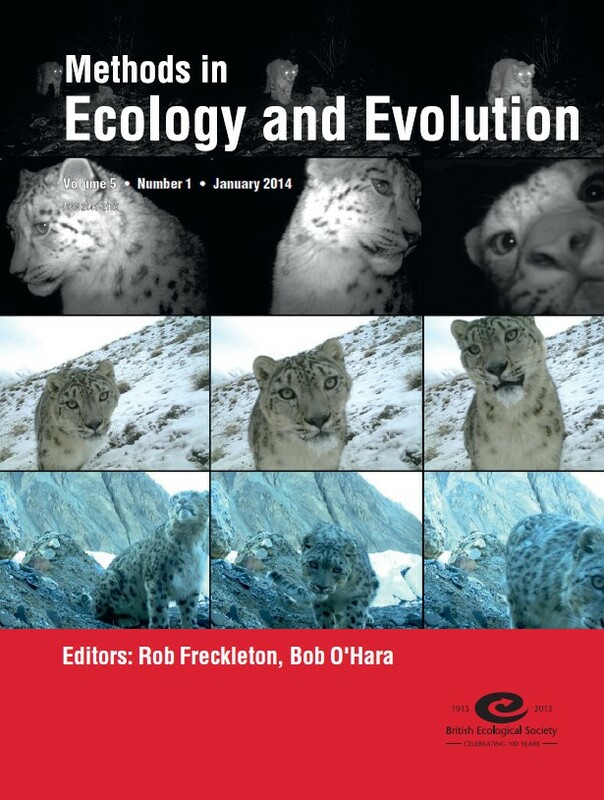 In ‘Image calibration and analysis toolbox – a free software suite for objectively measuring reflectance, colour and pattern‘ Troscianko and Stevens introduce software that converts photographs to ‘animal vision’. This software can show how pollinators, such as bees, that can see in ultra-violet. The researchers behind the software have provided specific data on camera settings for honey bees as well as a number of other commonly studied species. This is another article that has received considerable press attention (including articles in The Independent, The New York Times, The Washington Post and more). This article is Open Access. 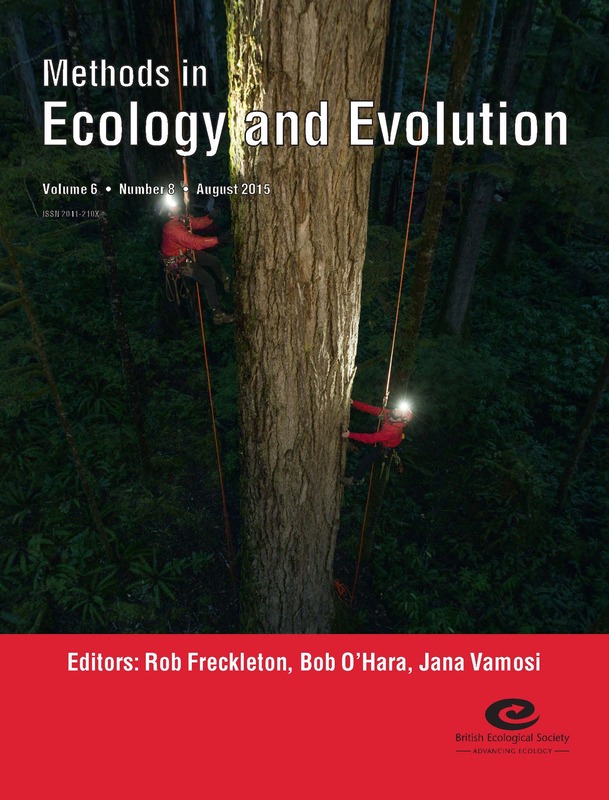 For more articles on honey bees and other pollinators, check out our Pollinator Ecology Virtual Issue, published in January 2014. 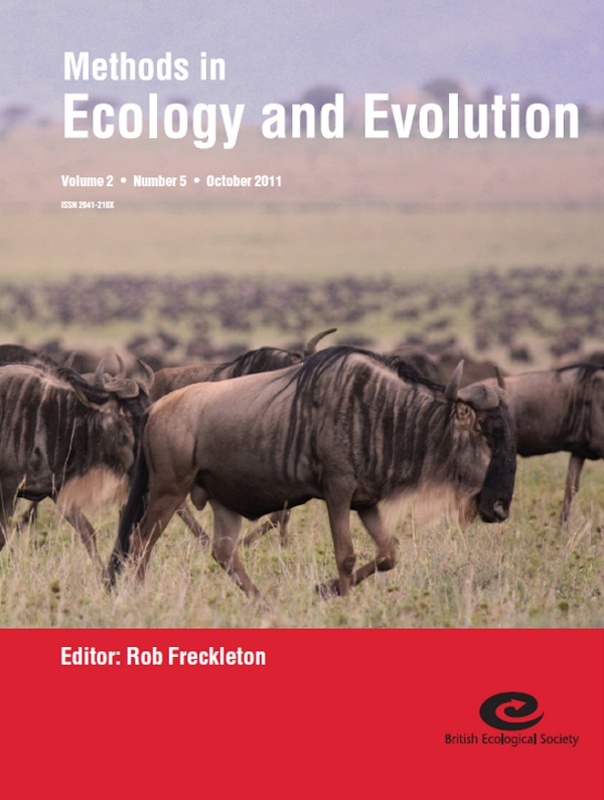 It includes articles from all five BES journals (Functional Ecology, the Journal of Animal Ecology, the Journal of Applied Ecology, the Journal of Ecology and, of course, Methods in Ecology and Evolution). This entry was posted in Methods papers, Online extras, top papers and tagged Abundance, Animal Vision, applications, biodiversity, Biodiversity Loss, conservation, Ecological Networks, ecology, Honey Bee, Honey Bees, Larvae Rearing, Mitogenomics, National Honey Bee Day, open access, Pollination, Pollinator, Pollinator Ecology, Pollinator Networls, Ultra Violet, virtual issue by Chris Grieves. Bookmark the permalink.